Huge thanks to our WAVE parents for organizing and running our Olympic Triathlon. 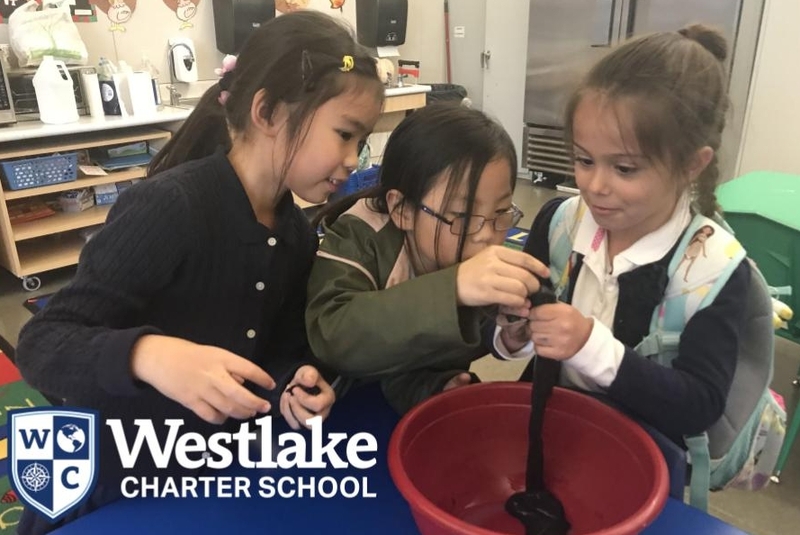 What a fantastic event for our Explorers celebrating what makes Westlake Charter School unique. BASE students learned about magnetic forces and then explored these forces by making magnetic slime! In 7th Grade student participated in a pop up debate. 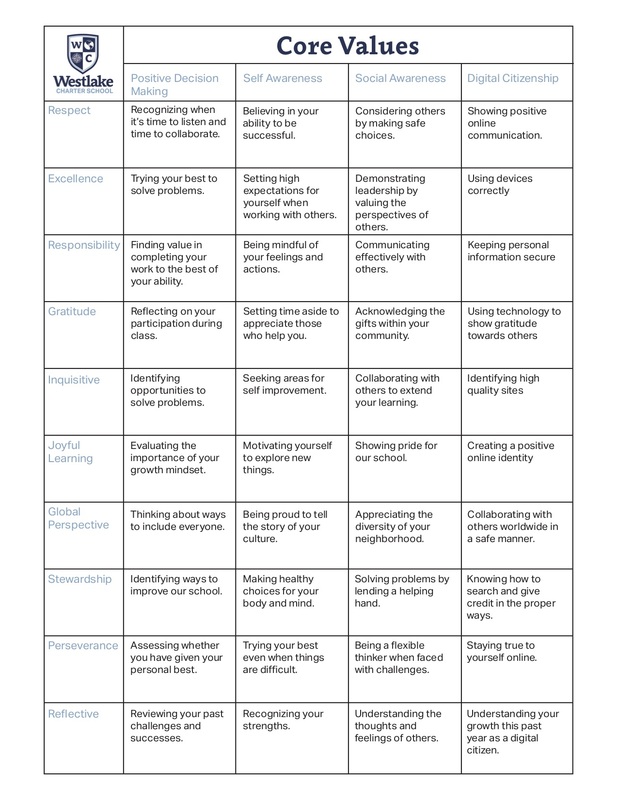 As students prepared for their position they passionately built their position. Lottery Application Period: Our enrollment period for the 2019-20 Lottery is December 3, 2018 to January 31, 2019. The application process is digital this year. Visit joinwestlake.com to complete the application starting December 3rd. 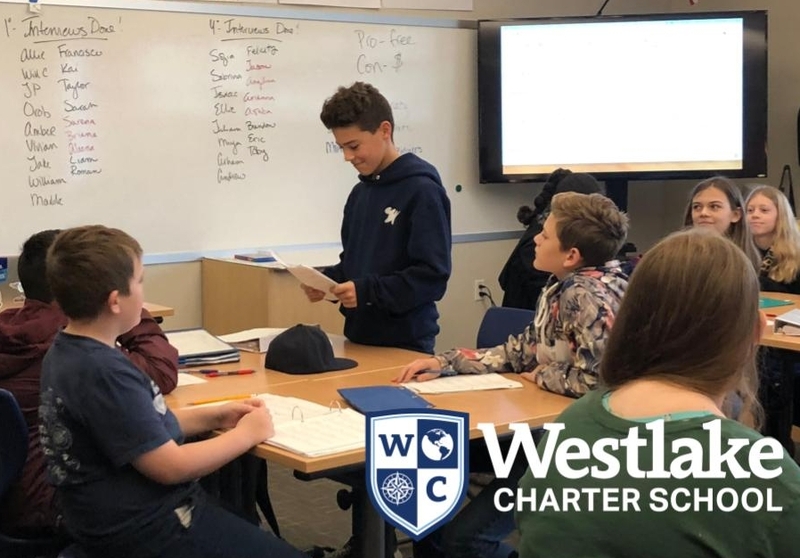 Please share this information with friends and family who are interested in attending Westlake Charter School. Current students do not need to fill out an application to continue their enrollment at WCS; however, siblings do need to fill out lottery applications to attend. Barnes & Noble Bookfair: Our annual Barnes & Noble Bookfair and Family Night will be on Friday, December 7th. Purchase books all day in store and online. Come visit the store from 5:30 – 7:30 with for gift wrapping, read alouds by Westlake staff and a holiday craft. If you would like to support the school by volunteering to gift wrap during the day on December 7th, please click HERE. Parents Go To School Night – January 30th: Our annual Parent’s Go to School Night will be on Wednesday, January 30th from 5:30-8:00 PM Our fantastic staff will be presenting on various topics during our annual Parent’s Go to School Night. Save the date to come learn about everything from Math and ELA to Social Emotional Skills. This your chance to learn more about how your student is learning at Westlake Charter & ways to help support them at home. Winter Enrichment Classes: Our winter session of AS Live: Enrichment will start Monday, January 7. Click HERE to see class offerings, prices, and links to sign up. Scholarships are available; there is a spot on the sign-up form to indicate that you would like a scholarship. 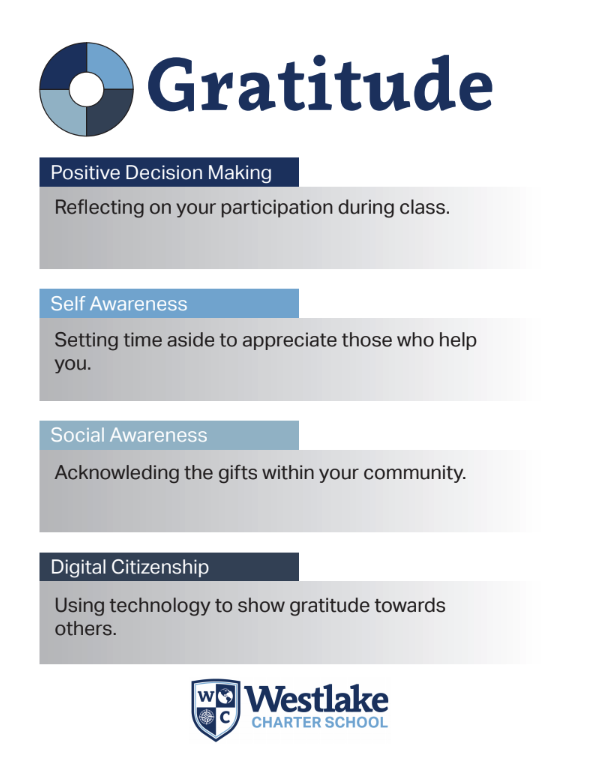 Email live@westlakecharter.com with questions. AS Live Clubs Volunteers: UPDATE: We have FOUR student-led clubs that simply need an adult supervisor. If you would like to jump on this opportunity (no prep required!! ), email Allison Chavez. You can also click HERE to sign up to lead your own club next session. It’s fun and easy, and the kids love the experiences you offer! 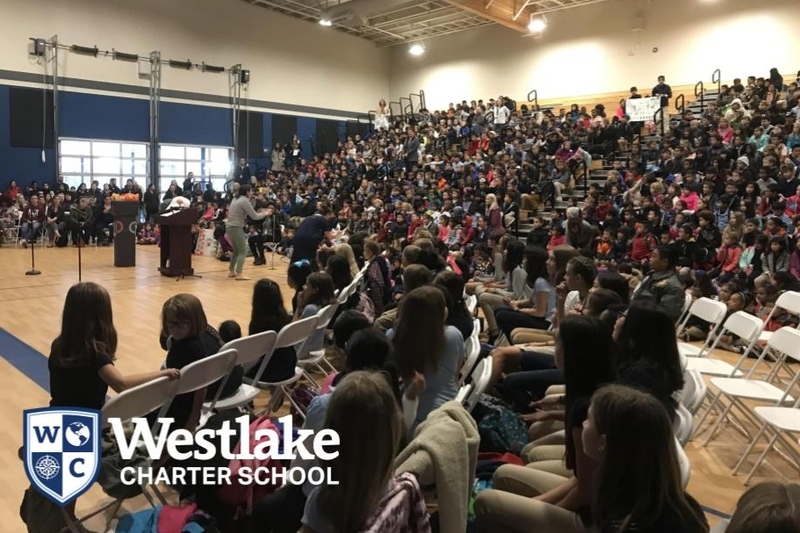 Email live@westlakecharter.com with questions. Call for Coaches: Families, we’re recruiting BASKETBALL and DODGEBALL coaches and referees for our winter season of Explorer Athletics! Click HERE for more information, to sign up to help out, OR refer a coach! Click HERE for the link for teen coach sign-ups. Email Allison Chavez achavez@westlakecharter.com with questions. BASE Newsletter: Click HERE for our December BASE newsletter to find out what’s happening in our before and after school program! Lost and Found: Our lost and found is overflowing with jackets, lunch boxes, water bottles and more! Please check for any missing items by Thursday, December 20th. All unclaimed items will be donated over Winter Break. Candy Grams: Candy grams will be on sale December 11, 12, 13th after school. Cost are $.25 each and will be delivered on December 18th. All proceeds will be donated to Camp Fire victims. Movie Night: Our annual Movie Night has been rescheduled to Friday, December 14th at 5:30pm. We will be watching Incredibles 2 and free popcorn and water will be available! We are working on a dinner option as well. Immediately following the movie, Santa will be stopping by Valley Oak Park at 7:45pm as he makes his way around Natomas! We need help to make this night possible. Please sign up to help at https://goo.gl/v5SeMR. We hope to see you there! Family Night Out Fundraisers: Thank you to everyone who made it out to the Chipotle Family Night Out earlier this month. We raised $327 for WCS! Please join us on December 19th from 4:30-8:30pm at Rubios located at 3551 Truxel Road for another Family Night Out Fundraiser. They will be giving 50% of the pre-tax sales back to WCS! Kudos: The Olympic Triathlon fundraising period is coming to a close. We have seen so many families creating websites, posting videos and creatively raising money. From selling handmade bracelets to pupusas to lemonade, Explorer Families have gone above and beyond to support our fantastic specialty programs of Art, Spanish and P.E. Our school is better because of each and every one of you!